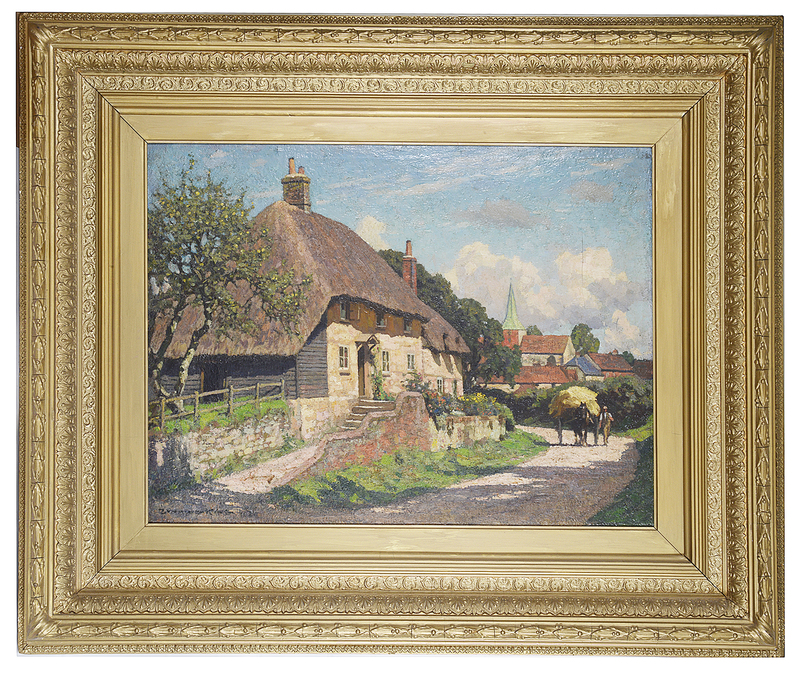 'Harting, Petersfield, Hants', oil on canvas, signed lower left, in a gilt wood frame. total frame: 74.5 x 90cm; canvas: 46.5 x 61cm approximately. Condition: Fair to good, with wear to frame and canvas, cracks apparent in oil.